The African Women in Technology (AWIT) conference was hailed to be one of a kind and it truly delivered on that. It provided a unique combination of deep-dive, hands-on tech workshops, information and discussions about careers in tech and how to pursue them; and connection and networking opportunities with other women in various aspects and careers in technology. The conference brought together over 100 participants who were treated to thought-provoking panel discussions pertaining to technology in Africa. Examples of these plenary sessions were: Tech & Digital Marketing for Startups; Fintech, Agritech & Health, Beauty, Fashion Tech; Funding Your Tech Start Up and also Social Entrepreneurship just to name a few. The Mekatilili Program was privileged to host the two-day workshop, Design Session: Idea to Reality with Kenneth Kinyanjui. 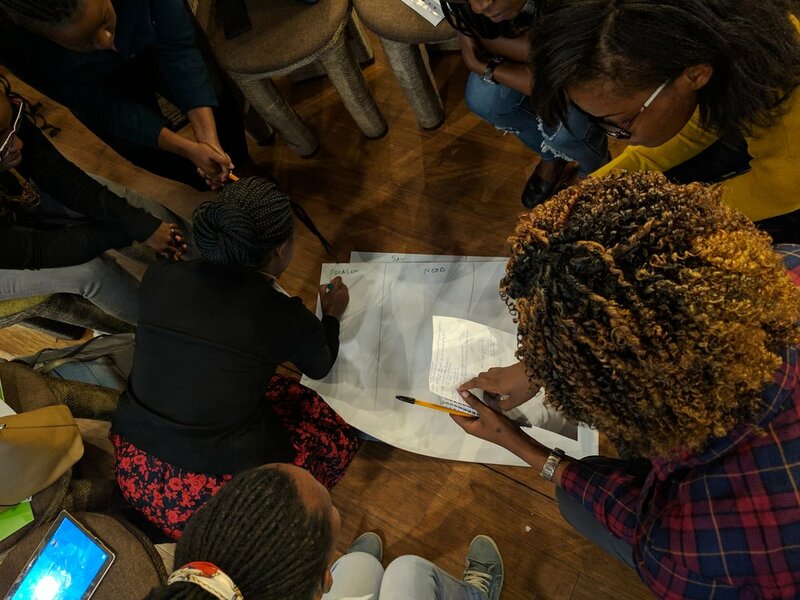 Inspired by 6 Sustainable Development Goals (SDGs), that are pertinent to innovation and technology in Africa, participants worked in teams to ideate and prototype solutions based on them. What followed was a fun and interactive session as participants were guided through design thinking and human-centered design (HCD) and how to utilize these tools to create sustainable and appropriate technologies, products and services for their users. Thank you to IBOM LLC, Innov8tiv, TechMoran, the sponsors, speakers and participants for making the event possible!